The manufacturing industry is believed to be revolutionized by 3D printing. Additive manufacturing, or popularly known as 3D printing, is now paving its way to the manufacturing sector. Initially, it started in the 1980s, however, the printers are too pricey for people to purchase them. Hence, the cost of the printers are much lesser these days as compared before. In today’s era, this type of innovative printing is utilized by numerous fields. These advanced 3D printers are used to produce actual items by simply drawing the model through the computer with the help of a special software and then print it right then and there. It could take a lot of knowledge, patience, and effort in order for a 3D printing product to be perfect. It might seem easy to create a real object on a flat piece of paper through a computer, but the answer is not really. You still have to learn the whole process thoroughly and deeply but of course, it will be worth it to perfect the art of 3D printing. Apparently, not all people can afford to buy their own 3D printers. Most opt for 3D printing services which can help them with their 3D printing needs. Once you have your own design, you can send it for printing and wait until it’s easily done. 3D printing is here to stay for more years to come and will continue to change the manufacturing industry because of its convenience and usefulness. On the contrary, 3D printing lacks appeal in the media. Even if it has a significant impact in the manufacturing realm, it is still not for everyone. Nevertheless, 3D printing makes each work faster, convenient, and less expensive. In addition, there are already tons of software and applications available in the market, which can be utilized in the execution of 3D printing. One of the important advantages of 3D printing is that it reduces labor costs. You won’t be needing the help of manpower anymore for you can actually do it on your own. Of course, you will still need the help of other people, but not the entire work force that will cost a lot. Additionally, this groundbreaking technology helps you save more manufacturing time. There is no need for you to wait for weeks to finish the items because you can have them any time sooner than you expect. And if you commit a mistake in designing an object, you can easily correct it before producing it. As a result, you will be able to yield big savings. On the whole, 3D printing is now effectively changing the manufacturing sector. It has a lot of potential that could make the lives of those who need it easier and more convenient. However, this technology still needs some tweaks and improvements. Sooner or later, it will dominate the whole manufacturing industry, so everyone should prepare for it. 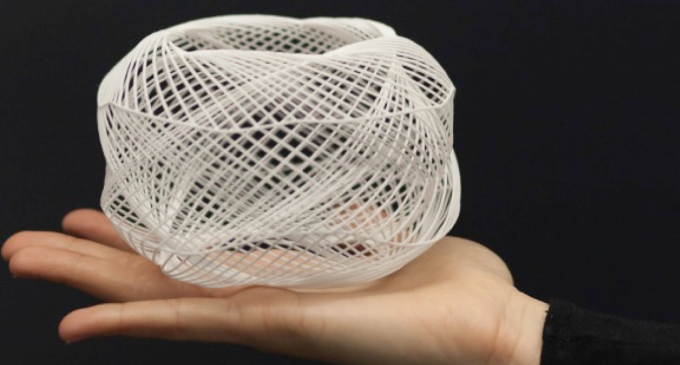 Get ready to be totally revolutionized by 3D printing!